Our cities and towns along with our vehicles are becoming more connected every day. There are beacons being added in retail locations and Wi-Fi enabled streetlights being installed. Personal cars can increasing do more things with their connection to the internet and themselves. It is no different for workforce vehicles. The vehicle area networks can collect vast amounts of data. But what happens to all that information? How do we use it? The power is in being able to process and apply it quickly to a situation. The amount of telematics data generated by a connected community and workforce (public safety, fleet, transportation, etc.) is vast and will only going to grow over time, especially as we continue to add more devices. Unless you have an application to collect, organize and store, it becomes lost information. Whether the data came from sensors, questionnaires, police records, or customer accounts, the procedure was to get it “into the computer,” which meant transporting the data to where the computer was located and entering it, often manually. Big data is simply too big. Modern data centers instead move copies of the application to where the data resides and processes it in place. It would make no sense to carry around or transmit all that data—including backhauling it to your central management system. The vehicle area network (VAN) is the next logical step in distributed computing, because it is the ultimate in moving the computer to the data. 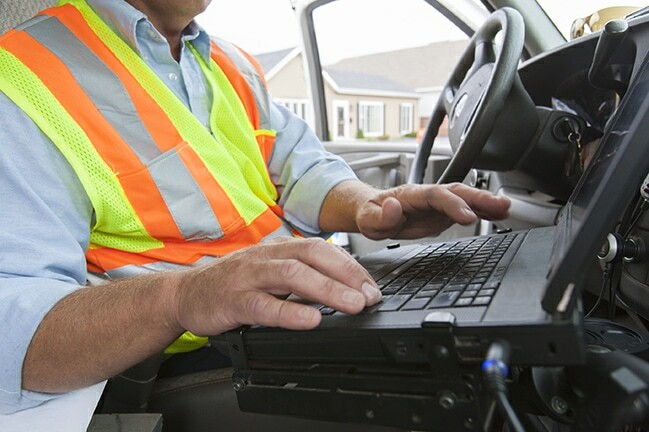 Service technicians, public safety officers and other first responders use a local Wi-Fi network of smart devices—tablets, smart phones, and laptops—to gather and process data at the scene of an incident or while in the field. The smaller result set of data can be backhauled to HQ when it’s convenient, using a much smaller amount of bandwidth and other resources. These smarter routers are able to collect and process data as well as retrieving from or transmitting information to the cloud. Knowing that smart vehicle technology was evolving, CalAmp recently enhanced its Vanguard™ cellular router line with PEG™, a proprietary programmable event generator. This enablement allows the devices to continuously monitor the vehicle operating environment and respond instantly to pre-defined and configurable threshold conditions such as motion, location, geo-zone crossings and custom parameters. Here’s one example of how these systems can work together. A large retailer utilized CalAmp’s telematics application with a Vanguard to improve their service technicians’ work productivity. Work orders are downloaded to their laptop for use in their company vehicle. They can update the orders during the day as additional service requests came into the call center. The technicians were able to access other systems to check for parts, order the parts and invoice the customer for the work. Plus, the technicians’ routes could be monitored by both supervisor and customer (each within defined parameters). As an added bonus to these “connected workforce” live updates was a reduction in gas expenses due to a reduction in idle times. As your operations continue to modernize, the concepts of big data and distributed computing will influence your day-to-day work for the better, lowering costs and increasing efficiency by expanding your ability to act faster on better information. 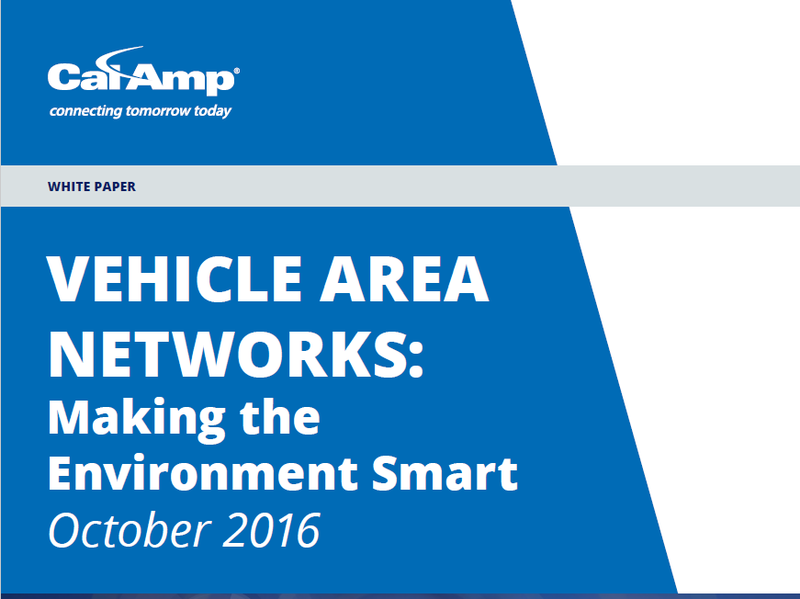 For more detailed information about vehicle area networks, see here.